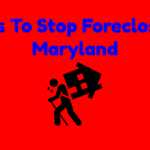 Trademarks For Real Estate Investors - We Kill Houses! 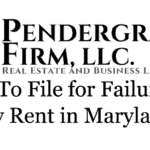 Trademarks For Real Estate Investors – We Kill Houses! Thinking about trademarking the name of your real estate podcast, business logo, or wholesaling course? You’ve come to the right place. I discuss considerations for trademarks in general and come up with sample marks for real estate investors. You can download the slides to the video Trademarks For Real Estate Investors by completing the pop-up box. This blog post and the corresponding video and slides are for legal informational purposes only and not legal advice. For legal advice contact a trademark attorney. I highly recommend consulting with an attorney before applying for a trademark. What Do Trademarks Actually Do? Trademarks are unique identifiers for goods and services. I think of trademarks as brand protection tools. So if you start using “We Kill Houses” in your advertising, no one else can. People can’t capitalize on the hard work that you used to build your brand. What Do Trademarks Not Do? Protect the original content of your real estate course or book you wrote. That’s what a copyright is for. Does not protect your snazzy real estate software. That’s what a patent is for. The trademark application itself is very straightforward. The hard part is doing the analysis that needs to be done beforehand. Here are a series of questions that need to be thought through before applying for any trademark. To what extent are you willing to enforce your trademark? Having a trademark does not prevent others from copying your trademark. If someone uses your mark you can use tools such as take notices, cease and desist letters, and ultimately litigation to get them to stop. Litigation can be very expensive. Are you actually using (or do you intend to use) your trademark? Trademarks must actually be used or your mark will be canceled. There are two types of applications you can file, in use or intent to use. For in use you’ll have to provide proof that your mark is actually being used. For intent to use you must eventually file proof that you are using your mark or it will be denied. What classes will your trademark be? There are 45 trademark classes. Classes are categories of goods or services. It cost at minimum $275 per class. Selling “We Kill Houses” T-shirts? That’s one class. Selling “We Kill Houses” Educational Products? That’s another class. Expenses can add up. Is your mark distinctive enough to trademark? Five levels of distinctiveness to a trademark from generic (lease distinctive) to fanciful (most distinctive). Anything descriptive and above can be trademarked. The less distinctive the harder it is to trademark. Generic marks cannot be trademarked. Trying to get a mark that is suggestive or higher is a good rule of thumb. Descriptive marks can be trademarked but you may have to be able to prove that your use of the mark has acquired distinctiveness to the public. Definitely use an attorney to argue on your behalf if you want a descriptive mark. Is your mark too “confusingly similiar” to an existing mark? The United States Patent and Trademark Office (USPTO) may reject your mark if it is too similar to an existing mark. You can do a “direct hit” trademark search to see if someone has registered the exact same mark you are using. This is NOT conclusive as to whether or not you are infringing on someone else’s mark. Click here to search the Trademark Database. Are you the first person to use your mark? A trademark does not have to be registered. Registering a trademark gives the holder statutory protections to use against infringers. However, even if I do get the registration for “We Kill Houses” I cannot stop anyone who was using it before me. A comprehensive trademark search can be used to assess if your mark is too confusingly similar to another mark and to check multiple databases in an effort to find if other business owners have used the mark. Attorney’s such as myself, can order a trademark search and provide you with a trademark opinion. 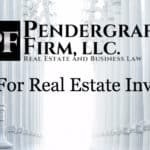 Real estate investors can think of a trademark search and opinion as a Ma href=”https://tpf.legal/title-attorney”>title search and opinion for a trademark. Do it before buying a house. Do it before applying for a trademark. Once you’ve gone through your trademark analysis applying for the trademark is very straightforward. An electronic application with the United States Trademark and Patent office can be completed here. There are multiple trademark application types but I recommend TEAS RF (Reduced Fee) or TEAS Plus. Teas RF costs $275 per class and you must agree to file electronically and to communicate by e-mail. With a teas plus application, you can describe your mark yourself. This is great for unique descriptions. 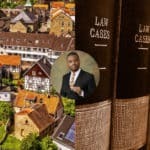 I recommend using an attorney to help you come up with a description that is more likely to be approved. Teas Plus costs $225 per class and you must use pre-approved descriptions to describe your mark. The downside here is that the pre-approved descriptions may not encompass everything that you want your mark to do. Class 16: Printed pamphlets, brochures, manuals, books, booklets, leaflets, informational flyers, informational sheets and newsletters, adhesive backed stickers, and kits comprised solely of on or more materials in the field of real estate. Class 9: Downloadable documents in the field of real estate provided via website. Your application can be either intent to use, where you submit proof for each class that you use your mark at the time of filing, or intent to use where you must follow up and submit the proof within 6 months. Example proof for “we kill houses paper products” is a picture of the book “We Kill Houses.” It costs $100 per class to submit proof in the future for 1B filings. It takes about 6 months for the USPTO process a trademark and they will let you know if it has been approved or denied. If your mark is denied you’ll be given an opportunity to respond as to why it should be approved. Your must apply to renew your mark in 5-6 years after it has been registered. Successfully renewed applications are renewed for 10 years. There are 45 trademark classes. You can check out the full list here. I hope you enjoyed this presentation. Don’t forget to download the slides. 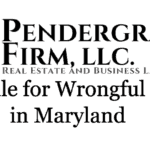 If you want to consult with an attorney on trademarking the name of your real estate business contact me for a free consultation. We Kill Houses! 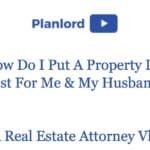 Enter your e-mail to be sent the slides to Trademarks for Real Estate Investors.